Fix Bayonets! Let’s Attack China and Russia! `We will continue to prosecute the campaign against terrorists, but great-power competition – not terrorism – is now the primary focus of US national security.’ Henceforth Russia and China will be America’s main enemies, with Iran and North Korea thrown in for good measure. So declared US Secretary of Defense, James Mattis, last week in a statement of profound importance for the world. For the past seventeen years, the US military has been laying waste to the Muslim world in the faux `war on terrorism.’ Afghanistan, Iraq, much of Syria, Somalia, Pakistan – all have been heavily bombed. US B-52’s and B-1 heavy bombers have tried to pound those resisting American ‘guidance’ into submission. In Afghanistan, America’s longest war, President Donald Trump ordered a doubling of bombing against Taliban forces battling US occupation. Now, the US is running very low on bombs, guided munitions and even air-to-air missiles for some reason. Stores of munitions are being rushed from the US Pacific command to the Mideast. At the same time, the US is fast running out of Muslim targets to bomb, now that the bogeyman ISIS has vanished into thin air and US air attacks in Syria are being minimized for fear of clashing with Russia. Iran still remains on the US potential hit list. Which brings us back to General ‘Mad Dog’ Mattis. He is quite right that so-called terrorists (that’s anyone who actively opposes the Lex Americana) pose no real life or death threat to the US mainland. But if so, how then to maintain the $1 trillion US military budget? Well, of course, trot out those good old ‘Reds Under Our Beds.’ Actually, the Pentagon has been planning a new war with China for the past three years, a mainly air and naval conflict to dominate China’s coasts and seas. The Pentagon is loading up on new aircraft, missiles, satellites and naval craft for the next Pacific War, and trying to enlist India as an ally against China. But what then about Russia? Not so easy. The likely theater for a US-Russia clash is on the Baltic coast, Ukraine, the Black Sea or Syria. In this case, the US would be confronted by the same problem that afflicted France in the fall of 1939. Few people know that it was France that first attacked Germany, not the other way around. Responding to the German invasion of Poland, France and Britain declared war on Germany. French divisions began to invade Germany’s Rhineland. But after a few skirmishes the French high command, under the inept Gen. Maurice Gamelin, didn’t know what to do next. Germany was large, and the defensive-minded French did not anticipate occupying its entire country. 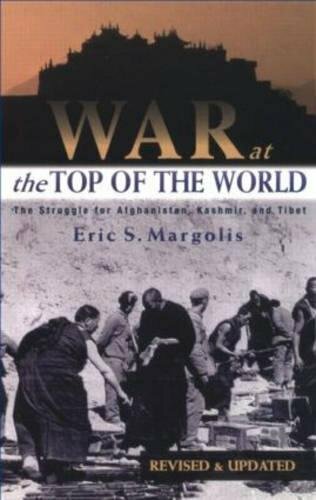 War at the Top of the ... Eric Margolis Check Amazon for Pricing. After a brief demonstration, the French Army withdrew behind the Maginot Line. Hitler did not counter-attack in hope he could forge a peace treaty with London and Paris. Winston Churchill and his fellow imperialists furiously sought to push Britain into war with Germany. But months of inactivity went by, known as the ‘Sitzkrieg’ or ‘drôle de guerre’ until Germany acted decisively. This would also be America’s problem in a war against Russia. How deep into Russia to attack (assuming no use of nuclear weapons)? How to protect ever lengthening supply lines? Napoleon and Hitler faced the same challenges and failed. Of course, this supposes the US is ready for war. In truth, neither the US and NATO nor Russia are in any way prepared to fight a real war on land, sea and air. Military forces on both sides have been so run down and depleted by little wars and budget cuts that there are serious shortages of war stocks and aging equipment. Key NATO member Germany is in a shambles. Its feminized military, run by a nice but incompetent lady defense minister, could not fight its way out of a paper bag. France is not much better off. The US armed forces and Britain are critically short of spares, munitions, transport, and armor. Russia’s once mighty Red Army is short of everything. 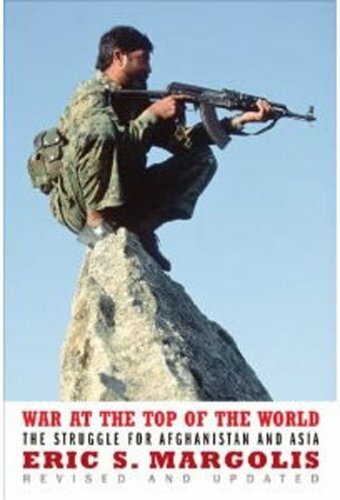 Both east and west are simply unready for a real war. As if there is any reason for one. There is not. Those jackanapes in the US Congress and media trying to inflate online mischief by 20-something Russian hackers into a second Pearl Harbor are crying ‘fire’ in a crowded theater. A final respectful note to Gen. Mattis (my dad was a marine): A good general does not pick a fight with two, far–away major powers at once. The trick is to turn them against one another. Declaring a future war against China and Russia is a crazy idea. Only draft-dodgers and generals who lost the Vietnam War could come up with it.